A younger son of King John II of France. He fought (1356) at Poitiers and shared his father's captivity in England. 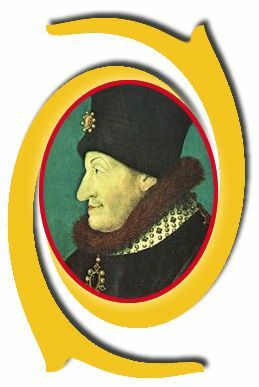 He was first made duke of Touraine (1360) and then duke of Burgundy. In 1369, Philip married Margaret, heiress of Flanders. With his brothers he was appointed by King Charles V as regent for the future Charles VI, and soon after the young king's accession (1380) Philip became the virtual ruler of France. He used his position to further his own dynastic ambition. In 1382 he led an expedition in support of his father-in-law, the count of Flanders, against the Flemish rebels under Philip van Artevelde and defeated them at Roosebeke. In 1384 he inherited Flanders, in addition to Franche-Comté, Artois, Nevers, and Rethel, from his father-in-law. Through marriages of his children to the Wittelsbach dynasty, Holland, Hainaut, and Zeeland eventually came to Burgundy. Philip retired (1388) to his duchy at the beginning of the personal rule of Charles VI, but he returned to prominence when the king became insane (1392). Philip was the chief rival for power of the king's brother Louis d'Orléans; his son, John the Fearless, carried on the quarrel.